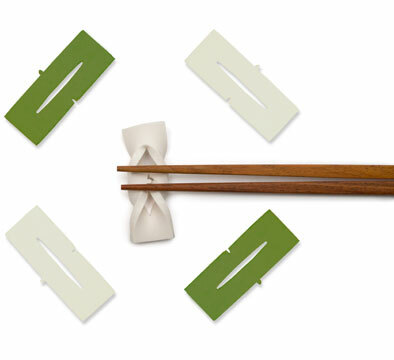 Silicone chopstick rests by Shukoh Hayashi are twisted to form the shape of a helix. $30 for five. The Museum of Modern Art (MoMA) has created Destination: Japan, a collection of more than 100 products (exclusive to the MoMA Store) created by established and emerging Japanese designers. We've sifted through them to find culinary-oriented products, from cooking gadgets to barware and tableware. Below are highlights of some of the more stylish, useful, intriguing, and amusing designs. 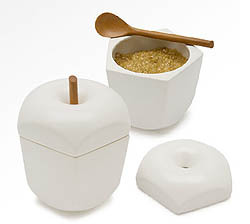 This earthenware apple-shaped jar has a wooden serving spoon at its core. $55. 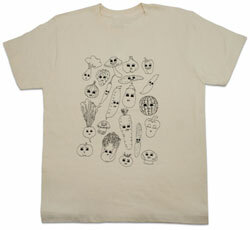 Vegetables and fruits are rendered as cartoonish monsters and embroidered on a cotton T-shirt. $45. 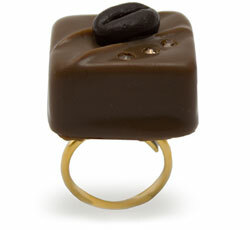 This PVC "Patisserie Ring" (also available in blackberry and ice cream) is made of PVC embedded with Swarovski crystals. $45 to $65. This ceramic grater's base is made of non-slip silicone so it won't budge as you grate away, even with one hand, at the kitchen counter. $28. 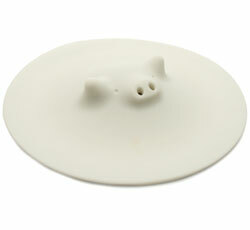 The quirky silicone pig cooking lid releases steam through the pig's snout as food cooks below. $18. 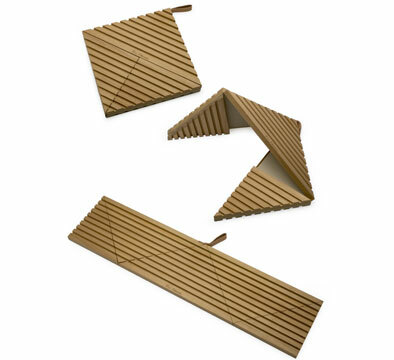 A folding bread board folds small for a round loaf or extends to slice a baguette. $75. 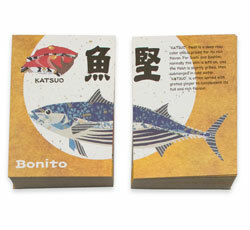 The Sushi Bar Card Game is a memory game containing cards with illustrations of fish commonly used for sushi. $29.95. 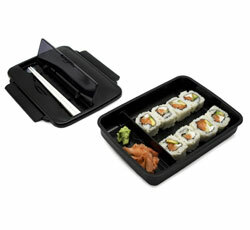 This bento box contains two germ-resistant silicone rubber containers. An air valve controls the air pressure inside the box to prevent food from sticking to the lid. $20. 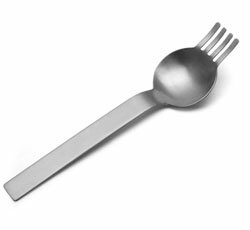 Originally created for a Japanese ramen chain, this streamlined spork was designed to eliminate waste created by disposal chopsticks. $12. 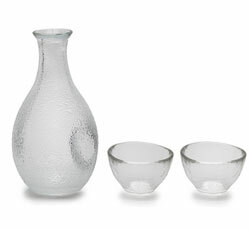 The surface of this sake carafe (and cup set) resembles ice. 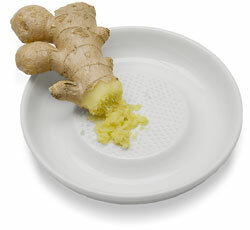 A contour in the side provides a place for your thumb for ease of pouring. $55.